Tamami was born and raised in the Saitama Prefecture just north of Tokyo in Japan. 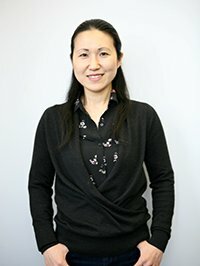 In Japan, Tamami was a SE/NE/Project Manager at Hitachi working with business and luxury hotels to update their networking/internet infrastructure. In 2005 she had the opportunity to travel and work in Canada and decided to stay shortly thereafter. Since then Tamami has worked for various companies most notably Thomas Blood Architects in Ottawa. Tamami brings a traditional Japanese work ethic to Thinkspace. She works well in high pressure, fast-paced environment. She loves multi-tasking, prioritizing and organizing. In past 9 years, Tamami focused the majority of her time on raising her two kids. Some of her hobbies include baking, pottery, watching Japanese TV shows and spending time with her family.